This review is associated with the Culture column ‘What the Tech! ?’, a monthly print column about the wacky world of tech. Just to get this out of the way now: The Surface Headphones are the best device I’ve ever used by far. Their sound quality is amazing and their overall user experience is exceptional. But enough of the overall generalizations. Let’s get down to the key factors. 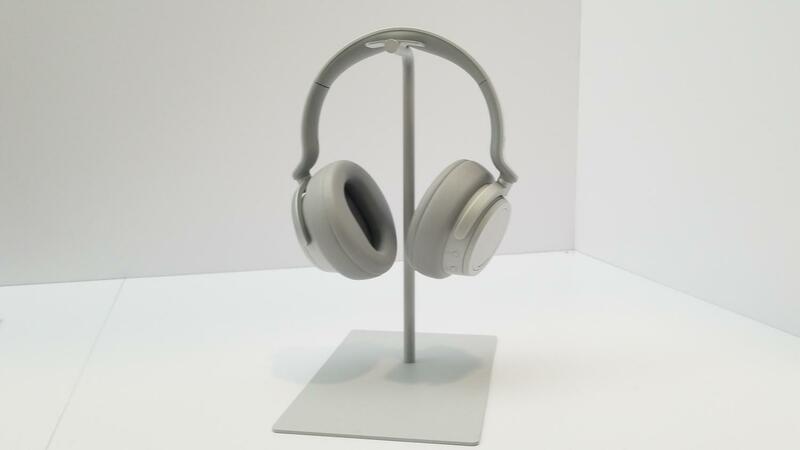 The Surface Headphones have an exemplary user experience, compared to the other headphones in the market. Instead of confusing buttons, the headphones instead use a dial. Characteristic to the Surface line, this dial for the headphones sits on both earcups, and can be simply turned to adjust settings. The dial on the right earcup is set to adjust volume, and the one on the left adjusts noise cancellation/isolation levels. This tactile feature alone sets these headphones apart from the rest in user experience. Also, there are integrated touchpads on both earcups to do play/pause and digital assistant functions. But the experience doesn’t just stop at the hardware. When you power on the headphones, the first thing you hear is a friendly welcome, quickly informing you of your battery life in a bright, cheery tone. The Surface Headphones have exceptional sound quality. I tested the headphones with a variety of different musical tracks, as well as a movie or two and the result was exceptional. They cover the best qualities of my test songs. From the perfect levels of bass, clean, crisp mids, highs and lows, these headphones cover the spectrum well. Here’s my test playlist for you to try as well! The Surface Headphones have amazing noise cancellation. Featuring 13 levels of cancellation, they’re pretty good. When I took the headphones on a long car trip recently, I put the noise cancellation to the test. Playing music with the noise cancellation on maximum, I couldn’t hear anything outside of the music. The new Surface Headphones, in their case. 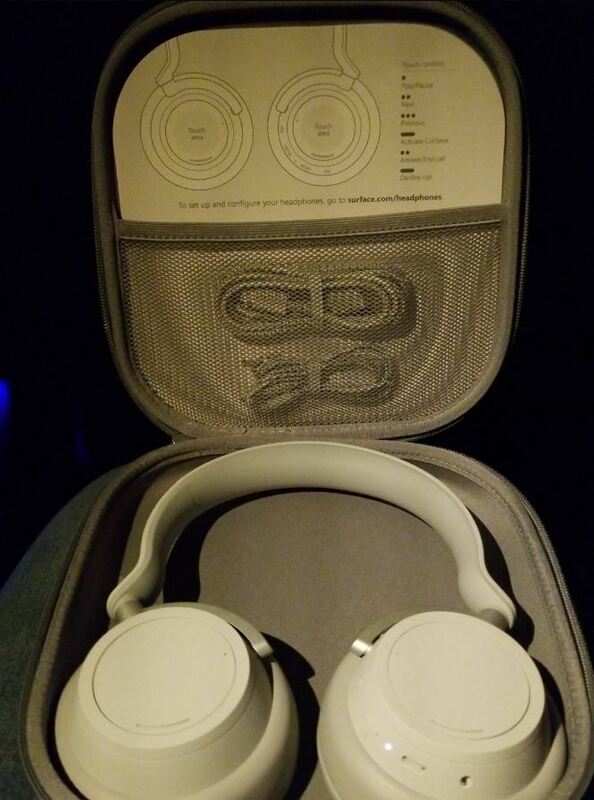 In addition to noise cancellation, the headphones also uniquely use a feature where you can use the same noise cancellation microphones to help you hear the outside environment. Let me clarify. Imagine you just quickly need to talk to someone, while using the headphones. You would want to take the headphones off, right? Well, instead, you simply turn the left dial all the way down, and you enter noise amplification mode, and can have the conversation normally, without literally missing a beat. The Surface Headphones are an amazing pair of headphones. On the first try, Microsoft made an amazing accessory, instantly being compared to other high-end consumer-grade headphones. They sound amazing, and feature some amazing, unique features. I can’t wait to see what happens next with these headphones, and their future development.